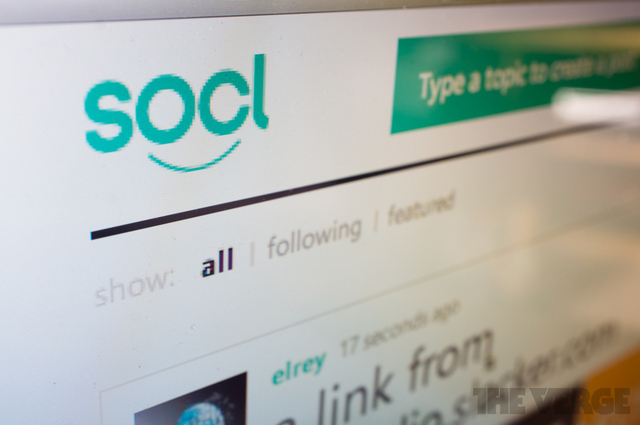 Today Microsoft opened up the doors on it's new social network Socl, pronounced social. It is a product of the FUSE research team. If you didn't know, this project was open to a small amount of people, and now it is open to the public. Anyone with a Facebook or Microsoft Account can sign up for free. I don't know that much about this social network project, so I can't comment further. If I have time I'll look into connecting my Microsoft Account to this and see how it works. I can say, however, is that the site is styled like other Microsoft products, using the 'Windows 8 Style UI'. The Verge made a nice angled snapshot of this already, and that is shown above. If you have tried using this, why not share your thoughts in the comments below?